As the midsized convertible in the Mercedes-Benz lineup, the CLK Cabriolet is a relatively good value. 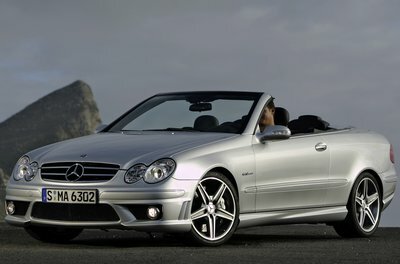 With styling that echoes the more expensive SL-Class, the CLK Cabriolet is certainly a very attractive convertible. Engine choices include a 268-bhp 3.5L V-6 (CLK350) and a 382-bhp 5.5L V-8 (CLK550). All are equipped with a a 7-speed automatic. A dizzying array of options allows customers to personalize their CLK; especially the "designo" packages, which combine interior and exterior trim with a color-coordinated theme. The AMG model has been dropped.